Launched three years ago, Kompas Gramedia Value Card (KGVC) is a token of appreciation from Kompas Gramedia business units to their loyal customers. KGVC card Holders automatically registered as Kompas Gramedia member and eligible to enjoy all benefits. 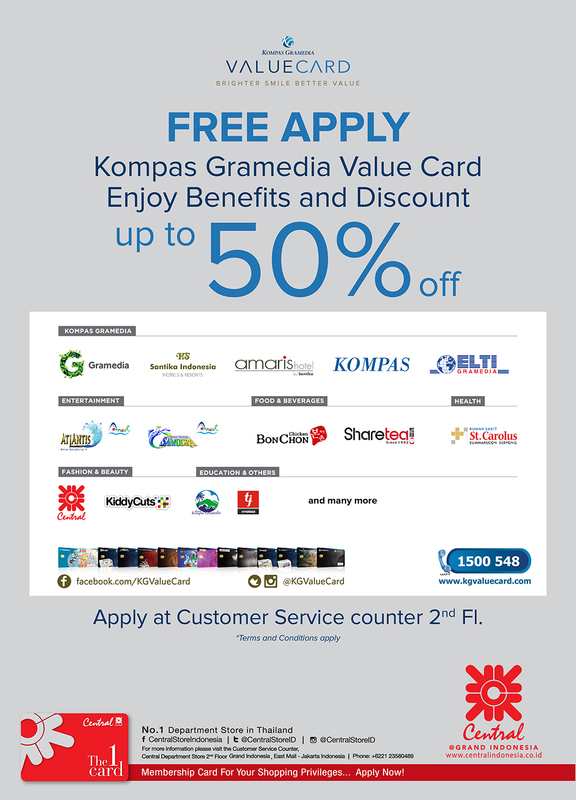 Starting January 2106, Central Department Store Grand Indonesia partnering with Kompas Gramedia, allowing Central The1Card Holders to apply for KGVC for FREE! Enjoy Benefits and Discounts Up To 50% OFF!